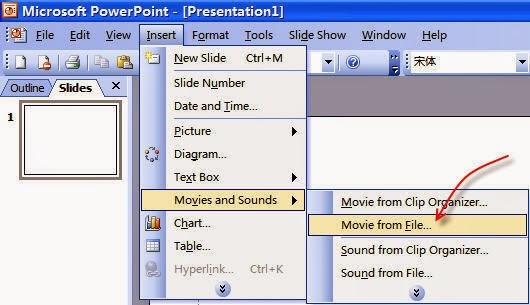 Do you want to insert MP4 Videos to PowerPoint for playing? This article mainly explains why can't we directly use MP4 in PowerPoint and introduces the easy solution to embed all kinds of mp4 files into PowerPoint for presentation. Some types of software take YouTube and other videos from video sharing sites and save them in file formats that you can watch without needing to be connected to the Internet. Many of these videos are saved in the MP4 file format. Part I: While PowerPoint does not allow you to directly insert an MP4 file into a PowerPoint presentation? a: You need have the QuickTime player installed on your computer and you can only insert an Apple QuickTime movie (.mov, .mp4) file to PPT 2010.
b: The PowerPoint 2010 64-bit version is not compatible with 32-bit versions of QuickTime. You must install a 64-bit version of QuickTime, or a 32-bit version of PowerPoint 2010. For PowerPoint 2013: In PowerPoint 2013, .mp4 videos encoded with H.264 video (a.k.a. MPEG-4 AVC) and AAC audio is recommended. However, even though your video file have the .mp4 file extension, it may not play correctly if the correct version of the codec is not installed, or if the file is not programmed in a format that is recognized by your version of Microsoft Windows. Therefore, we often meet difficulty in inserting MP4 to PowerPoint, let alone to play MP4 in PowerPoint successfully. Then how to get mp4 files easily embeded and played in PowerPoint? The answer is to convert mp4 to PowerPoint compatible AVI, WMV, ASF, MPG videos. Now let's go to learn how to do it. Step 1. 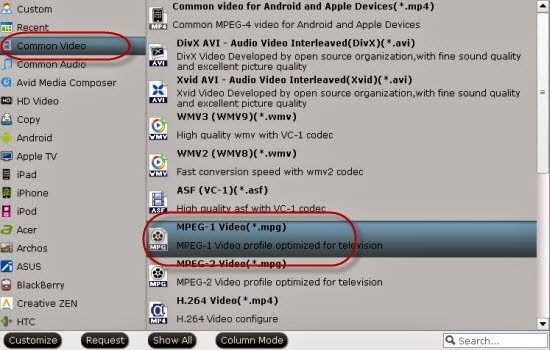 Run the Pavtube Video Converter, drag and drop source video to the program. Overall, the all-in-one program can easily convert Blu-ray DVD disc, DVD folder, DVD IFO/ISO file and various videos inluding the MP4 files to any video format like AVI, WMV, MPG, FLV, F4V, SWF, H.264, MKV, 3GP, RMVB, WebM, VOB and more for playing in any version of PowerPoint Presentation including PowerPoint 2010, 2007, 2003, 2000, 2002, 2005 or even PowerPoint 95, 97. If you are Mac users, try Pavtube Video Converter for Mac. Step 2. Click on "Format" bar, and Choose PowerPoint compatible format. Choose the PowerPoint supported formats in the "Format" dropdown list. You can go to "Common Video" and find "MPEG-1 Video (*.mpg)" which works well with both Windows and Mac version of PowerPoint. What's more, WMV is well supported by PowerPoint for Windows; MOV is well supported by PowerPoint for Mac. Step 3. Press on "Convert" to start encoding MP4 Videos to Microsoft PowerPoint Presentation compatible video. Step 4. When conversion completes, press on "Open" to locate converted videos. In this way, you can insert and enjoy your favorite MP4 Videos on any version of PowerPoint including PowerPoint 2010, 2007, 2003, 2000, 2002, 2005 or even PowerPoint 95, 97..